This week’s episode is the first of an exciting new feature that I’m going to be doing on Natural MD Radio called the Natural Medicines Library. 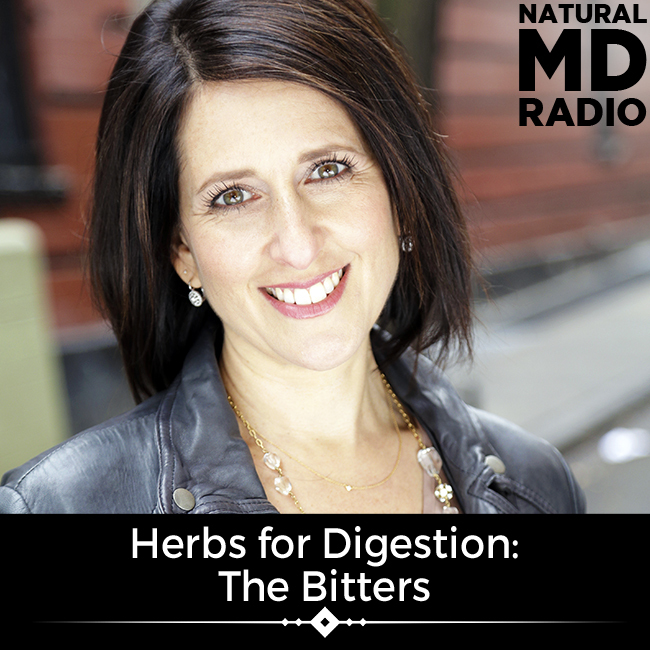 I’ll be bringing you monthly episodes of Natural MD Radio specifically about my favorite herbal medicines. I’ve been an herbalist for 35 years, and am actually one of the leading herbalists in the world in the field of western herbal medicine for women and children’s health. I’ve written am award winning textbook called Botanical Medicines for Women’s Health, am the medical director for American Herbal Pharmacopoeia, and for a decade I was the president of the American Herbalists Guild, in addition to sitting on several scientific advisory boards. Herbs have been and remain one of my first go to’s therapeutically for my practice, in my teaching, and of course, for myself and my family. The botanicals I’m talking about today are the bitters – a specific class of herbs for the digestive system, but they do much more than just improve digestion. They also support detoxification, heal the skin, and improve your mood. We don’t eat a lot of bitter food these days, and most of us are pretty averse to bitter flavors. But they can do so much for your body and your digestion. Today I’m talking about all the benefits of bitters and how to get more of them into your diet, and how to use them medicinally. What a great episode. I have a client with no appetite and was looking into bitters, so this is very timely for me. Thank you. Thank you! I have been struggling with digestive problems for years and I look forward to implementing these ideas. I'm a mom and I am looking for simple and affordable ways to improve my health. I think these ideas fit the bill! Thank you for this broadcast. I found the information on bitters very interesting and was thankful that you mentioned that increasing acid in the stomach can actually improve GERD by increasing sphincter tone. I can't seem to convince my patients that a proton pump inhibitor is not the answer.